Why all the fuss, puss-puss? There's nothing like a cat. And there's nothing like the importance of a cats nutritional biochemistry. They are hunters, predators and carnivores - strict carnivores. Their genetic makeup means they need nutrients + amino acids found in animal tissues to satisfy their unique nutritional requirements. The natural prey of wild cats has high protein, medium fat and low carbohydrate levels. Metabolically, carnivores preferentially convert protein and fat into energy sources over carbohydrates (unlike omnivores - you, me, dogs, who can effectively utilise carbs as energy sources). An adult cat requires 2-3 times as much protein in their diet as an omnivore. This greater demand for protein also shows cats have higher needs for amino acids as well, such as taurine, which we'll come on to later. So high levels of meat are in and the majority of carbs are out. So what is essential for your cat to be healthy? Number 1 - meat + offal. No surprise there really. All cats, big + small, are carnivorous predators and nature selected them to play a part in keeping ecosystems in balance. The dietary needs of wild cats is no different to domestic cats and consists mainly of meat. Essentially, it is the size of the cat that determines the size of the prey they eat. Your cat is unlikely to tackle a deer, whereas a tiger probably wouldn't waste his time on a mouse, but they all perform the same predatory role. The amino acids, nutrients, protein, calcium, phosphate and moisture they get from meat is all they need to remain physiologically healthy. Number 2 + 3 - amino acids and vitamins. One essential amino acid for cats is taurine. Taurine is crucial for eye + heart health, brain, nerve + immune function, digestion and fetal development. Taurine levels are naturally concentrated in muscles that work the hardest - think dark meat (legs) over light (breast). The heart, biologically speaking an organ, is however one of the hardest working muscles therefore contains the highest levels of taurine. 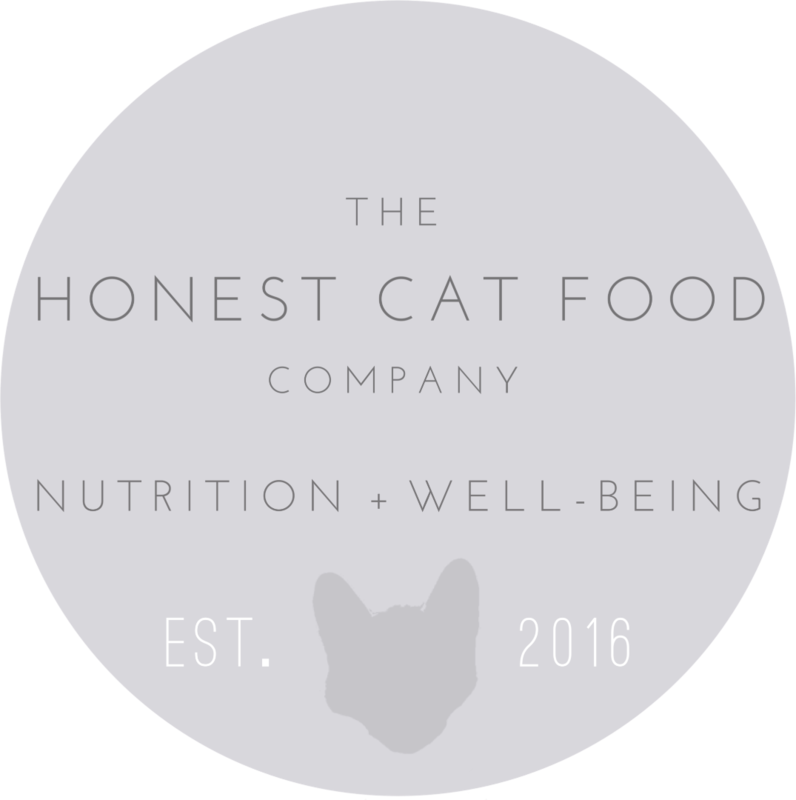 All Honest Cat Food Co foods contain the necessary 1500mg/kg of taurine and many contain whole chicken hearts which, to a cat, is a wonderful thing. Cats need an increased amount of B Vitamins compared to omnivores. This is because B vitamins are water soluble and your cat cannot store them therefore they need a continual source to prevent deficiency. Luckily, B vitamins are found in high concentrations in animal tissues, which our foods contain plenty of. Number 4 - minerals. The main two here are calcium + phosphorous. Calcium is required for bones + muscle control. Phosphorous is required for the formation of teeth + bones and to maintain functionality in cells. Phosphorous is attracted to calcium, forming calcium phosphate which gives teeth + bones their strength. The ratio of calcium:phosphorous in the diet should be around 1.1:1. (Ratios can vary from 0.9:1 up to 1.5:1 as the daily balance can be inconsequential however, it is the long term balance over weeks/months that is important.) All our foods have a perfect ratio of 1.14:1. See below for the problems caused by unbalanced ratios. -Growth problems due to increased bone density resulting in orthopaedic issues. Number 5 - moisture. Cats evolved from desert dwelling hunters and get all the water they need from their food. Their thirst response is much less sensitive than omnivores which is why you rarely see the majority of cats lapping up water the same way a dog will. On a dry food diet, a cat won't make up for the lack of moisture in kibble and is therefore consuming only half (give or take) the amount of water compared to a wet food diet. Wet food diets ensure a well hydrated cat with increased urine volume and decreased concentrations of urolith-forming minerals and crystals. Water is essential to organ health and dehydration can lead to a number of health problems that often require surgery to rectify. In some cases, the effects of dehydration cannot be rectified. This is why we only stock wet foods to optimise your cat's health and welfare. Number 1 - high levels of carbs. The cat needs no more than about 5% carbs daily. The low carb need is reflected in a cat's physiology as they lack salivary amylase which is the enzyme responsible for initiating carbohydrate digestion. They also have low activity of intestinal + pancreatic amylase that further break down carbs along the way. Whilst some starches can be utilised by the cat, high amounts of carbs actually decreases protein digestibility due to increased passage rate. A high presence of carbs means the essential nutrients, minerals + vitamins from the meat are not as effectively absorbed, with long term health issues on the horizon as a result of dietary deficiencies. Many cats have intolerances to grains + wheat + soy which are often included in many foods as cheap fillers/bulkers. Feeding foods high in carbs, particularly if your cat has allergies/intolerances can be doing more harm than good. Our foods contain no wheat, grain, rice, soy or corn and have less than 2% carbohydrate content. To work out the carbohydrate content in your cat's food, simply start with 100, then subtract the protein, fat, ash, fibre and moisture percentages. The remainder is the carbohydrate value. Number 2. Sugar. What does sugar have to do with cat food? Not much at all is the answer. It is added in various forms as attractants and colourings. Sugar is highly addictive to us and to your cat. Sometimes the reason cats can be labelled as fussy eaters is because they are fixed on one food because of its sugar content. The levels of carbs + sugar in many commercial cat foods would equate to us eating fast food everyday. Put junk food down in front of a cat, or a person, and the temptation is there to eat it. But it's not sustainable for long term health. Not a single one of our foods contains added sugars, attractants or colourings whether natural or artificial. Cats, like humans, who consume sustained high levels of carbs + sugar can suffer from obesity and develop diabetes. Restricting these ingredients and providing physical exercise for your cat can help prevent these issues. For existing cases of diabetes, please seek professional opinion for dietary changes. 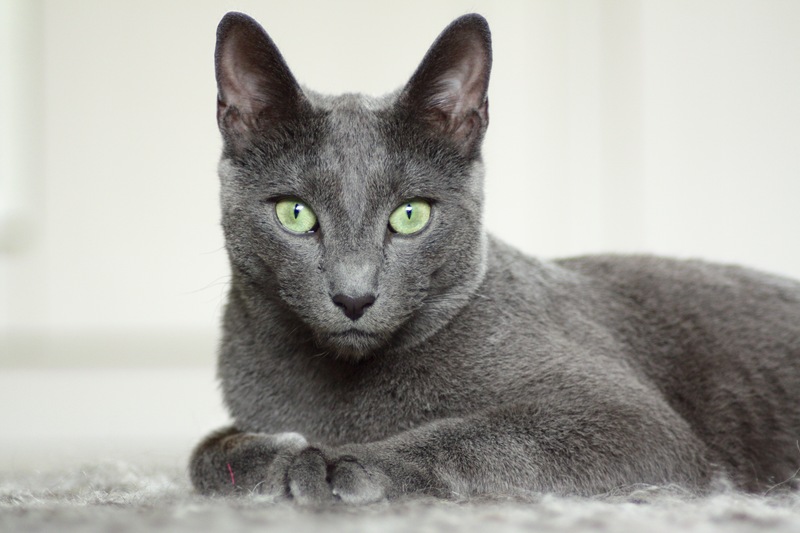 There can be a number of external issues that affect your cat's health, however, providing a species-appropriate diet can be a sure way to ensure you provide the best opportunities for your cat to be healthy and the best cat they can be. If you would like to learn any more, please get in touch and we will do our best to answer your questions.